Three years on from his last Big Interview with CHP, Hallmark Care Homes and Care England Chair Avnish Goyal, assesses the challenges facing the sector and explains his approach to providing outstanding care. 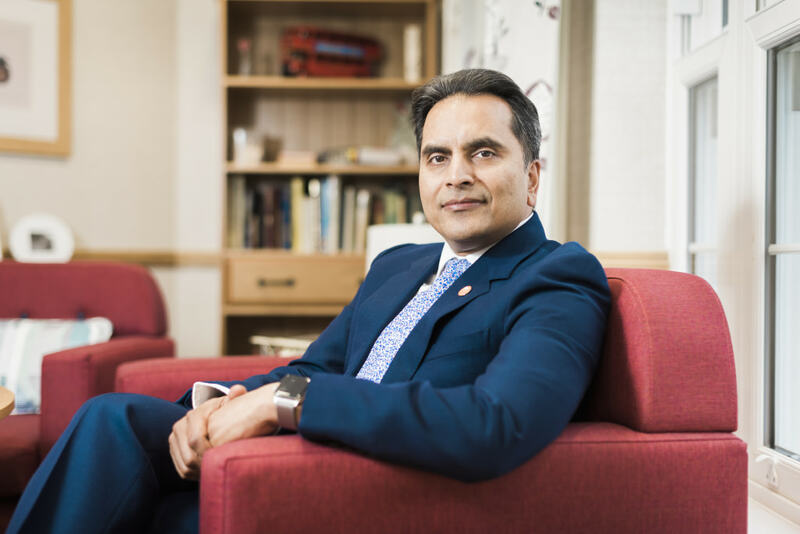 In his previous Big Interview with CHP, Avnish described the emergence of a two-tier care home market split between luxury, private payer focused providers and budget, no frills, easyJet style operators targeted at the local authority market. Three years later, while the private payer, largely southern focused market has undoubtedly flourished, Avnish’s vision of a high-quality, budget style local authority focused provider market has been less evident. “The budget quality, no frills care home has not emerged to scale,” Avnish conceded. “There are notable exceptions but the level of new builds required is substantial. As a result, a growing gulf has emerged between private fee paying and local authority reliant providers. “The concern that I have is that in areas where local authority fees are low you are not going to get the investment from operators coming in to build and replace old stock,” Avnish noted. Private sector investment in the affluent south east, furthermore, has meant the emergence of a north-south care divide. “To some extent the two-tier split is between the north and the south country,” Avnish said. Avnish points out that Hallmark Care Homes has been part of this market trend, having come out of provision in the north of the country to target the private pay market in the south east. “We decided to divest out of our homes in the north and Midlands about five or six years ago because they were predominantly funded by local authority and were older homes,” Avnish explained. Avnish noted that Hallmark was a “very niche provider” only able to cater for a very small part of the marketplace of 450,000 beds. When asked for a solution to the polarisation of the care home market, Avnish said you had to inevitably start with funding. “We have got to solve this fee issue,” he commented. The Hallmark chair was not optimistic about the potential for politicians grasping the nettle of the funding issue, however. “You saw with the last election how the government’s proposals were immediately rejected by the opposition nicknaming it the ‘dementia tax’ and the political fallout from that,” Avnish said. The Hallmark boss said a cross-party consensus was required to solve the impasse of finding a social care solution. “No-one is ready to take the risk, especially now they have tried it and failed dismally,” he noted. Meanwhile, older people across the country continue to be failed by the system, with a recent report by national charity Coram Family and Childcare showing that over 4 million people are living in areas where there is not enough social care to meet demand. “Having a system where there is such a disparity between the private pay and local authority market is not good for the nation,” Avnish said. “A nation should be judged on how it looks after the elders of society and we would most certainly not pass that test. “When I talk to politicians they say ‘we can’t afford it’ and I think that’s one of the biggest lies we tell ourselves. As one of the top nations in the world we can afford whatever we choose to focus on. So the better question is what needs to happen to create a social care system that is the best in the world? Highlighting social care’s lack of the kind of lobbying clout enjoyed by the NHS, Avnish called for the creation of a Commissioner for Older People. “I don’t think we are going to see a seamless transition between services unless there is someone who presides over all of that and is able to direct that way that all stakeholders operate,” he observed. Planning was another key challenge facing the sector, Avnish highlighted. “Local planning has to stimulate the requirement for new care homes,” the Hallmark boss said. “Unfortunately, local authorities see it as a burden. The NHS and the GP practices see it as a burden. The local authorities feel they can’t afford it. Planners don’t recognise the employment gains of a care home being built, as well as the amount of houses that get released in their area when residents move into these new care homes. 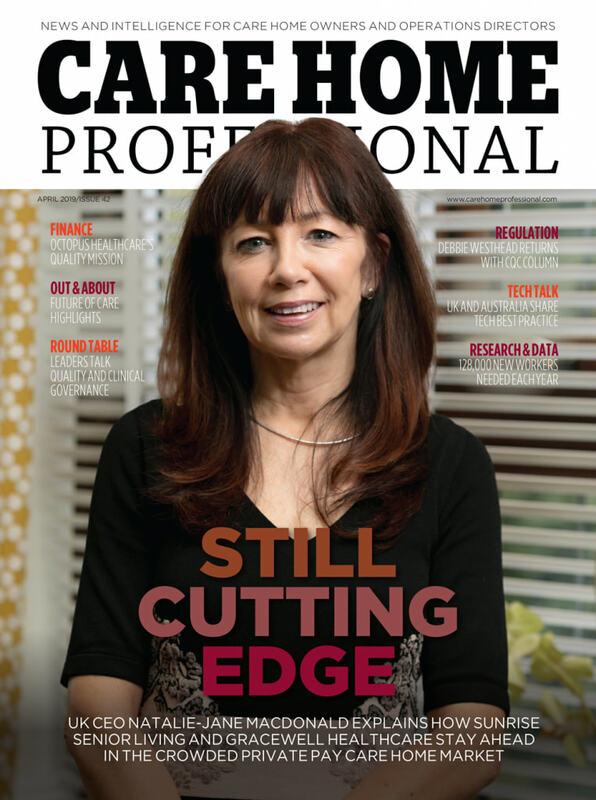 While the local authority care home market continues to face significant structural challenges, it’s a different story for the private end of the market. Avnish said Hallmark’s expansion had been relatively “very modest” with the provider adding around one or two homes a year. Hallmark’s plans this year include two new homes in Banstead and Henley, which will be opening in May and October. “The size of the private market is continuing to increase as the state continues to move away from funding the needs of older people, meaning they are having to fund their own care,” Avnish highlighted. Hallmark is also making its entry into the assisted living market with its biggest scheme to date. 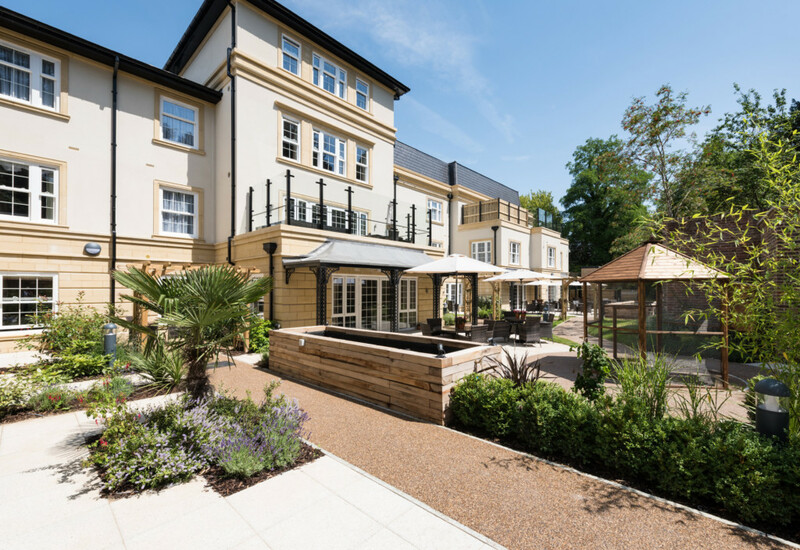 The £30m development in Brentwood, Essex includes 55 assisted living apartments, alongside a 77 bed care home, which will be completed in 2020. “The UK is way behind the rest of the developed world on the assisted living model,” Avnish noted. Just 0.6% of the UK’s over 65s live in retirement accommodation compared with a figure of around 5% in New Zealand and Australia. The Associated Retirement Community Operators (ARCO) has set a target of housing 250,000 people by 2030, growth that Hallmark wants to be part of. “I want to build a brand about quality and lifestyle so that when I walk around those communities I can see the impact we have on the lives of older people,” Avnish said. 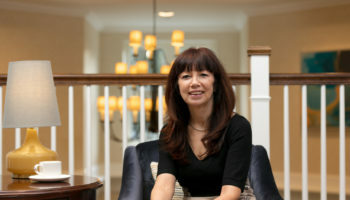 Hallmark’s assisted living strategy is still under development with Avnish indicating the potential of the provider having a separate brand for the service. He added that its assisted living stock was likely to be both rental and to buy, highlighting that the former may be attractive in the expected post Brexit housing market downturn where people may be reluctant to release the equity on their houses. As the luxury care home market has matured, Avnish pointed out that providers were specialising in care in order to provide a differentiated, premium service. Hallmark, for its part, has become renowned for its leadership in dementia care through its pioneering Together strategy. 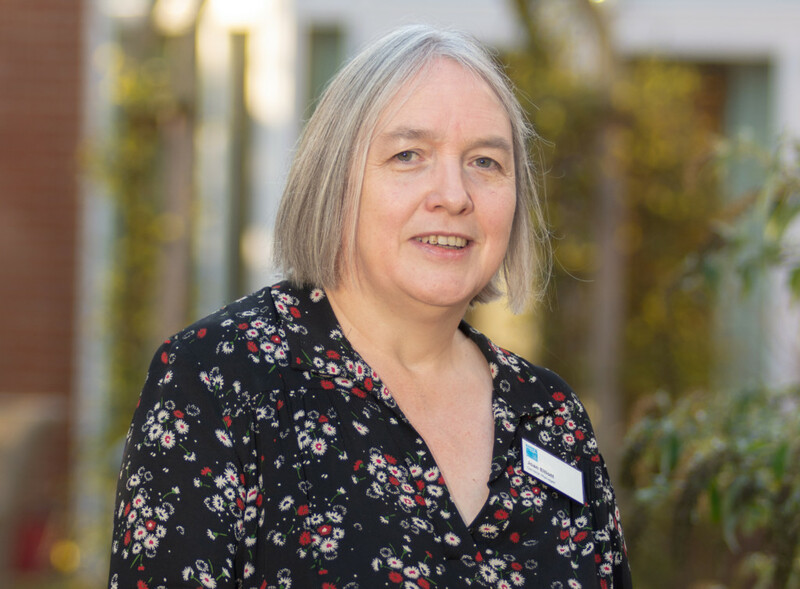 The provider scored a recent coup by attracting April Dobson from Abbeyfield to become its Head of Dementia and continues to innovate to provide ever higher standards of care. “It’s exciting to remain at the forefront of that,” Avnish noted. 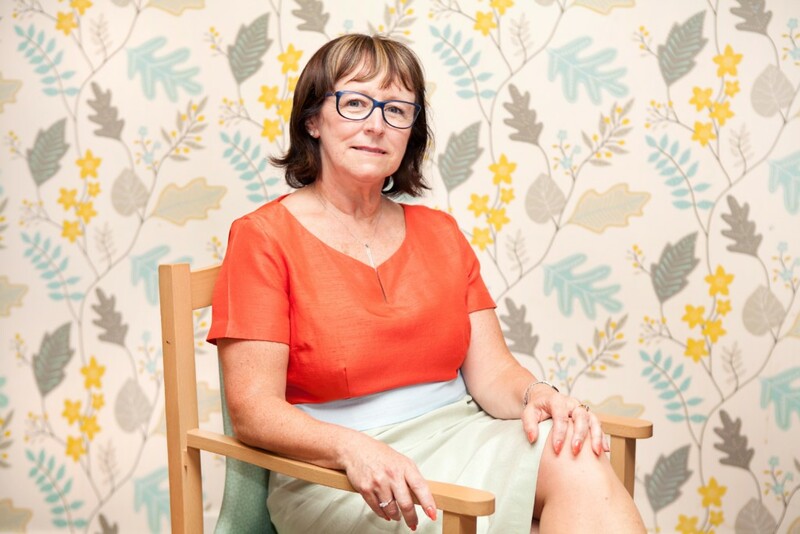 “I have seen how dementia was delivered 21 years ago when I first got into the sector. If we looked at it now we would be appalled at things that we did due to the lack of knowledge. Technology continues to take a key role in the provider’s dementia innovation. The provider uses the omiVista Mobii interactive tables in its homes, which provide stimulation through virtual interactive games. More traditional dementia therapies, such as comfort dolls, are also used in its homes. Design, another area where Hallmark is a market leader, plays a further key role in offering optimum dementia and elderly care. “Design plays a very important part in how residents live and engage with the environment and our team is trained to use the facilities in the environment to the best advantage of themselves and the residents,” Avnish said. Hallmark has scooped a national Pinders Design Award six times for its new builds and Chamberlain Court was last year named Knight Frank’s Care Home of the Year, so CHP was eager to learn about the provider’s market leading approach to design. “We make sure that Hallmark design starts with a vision from the beginning,” Avnish said. “You have to make sure you find the right sites that are the right size so that you are not being pushed to provide more and more bedrooms and you have the room to provide the other communal spaces. “Design is an evolution and we have been building homes for 20 years now. “In our very first care home in Cardiff, Regency House, we had 13-15 sq metre bedrooms all with en suites and 1.8 metre width corridors and lots of day space,” Avnish recalled. “At that time people weren’t building to those spatial standards. That home has stood the test of time and is still fit for the future. “Our first café, which we put in seven or eight years ago, was quite small, now the cafés are getting bigger and are the hub of the home,” Avnish said. Each of the provider’s homes evolves over time and Hallmark invests in retrofitting its older properties with its latest and most successful innovations to keep them up to date. The Hallmark chairman said the secret of successful design was being able to build ahead of the curve. The provider has put significant investment in pursuing a distinctive design approach, boasting its own developer and in-house team of interior designers. Hallmark also takes care to avoid a ‘cookie cutter’ approach to design and ensures that its new builds complement and enhance the surrounding areas. “They should not all look the same,” Avnish observed. When choosing sites, Hallmark favours urban, well-connected sites over those in rural isolated areas in order to provide good travel links for its staff and ensure that residents feel part of the local community. “We want sites to have good visibility and that are set right in the heart of the community and are easily accessible for team members and relatives,” Avnish noted. Recent design innovations include a winter garden at its latest Arlington Manor home in Cambridge where residents can garden indoors and get precious sunlight all through the year. The Hallmark chief also highlighted how the provider’s homes are designed to encourage residents to move around and sample different environments. “The residents will move from their room in the morning to have breakfast in the dining room and move to the café to read their morning paper and then go upstairs for activities. They have things to do and are moving around the home and seeing different environments, which is therapeutic,” Avnish said. 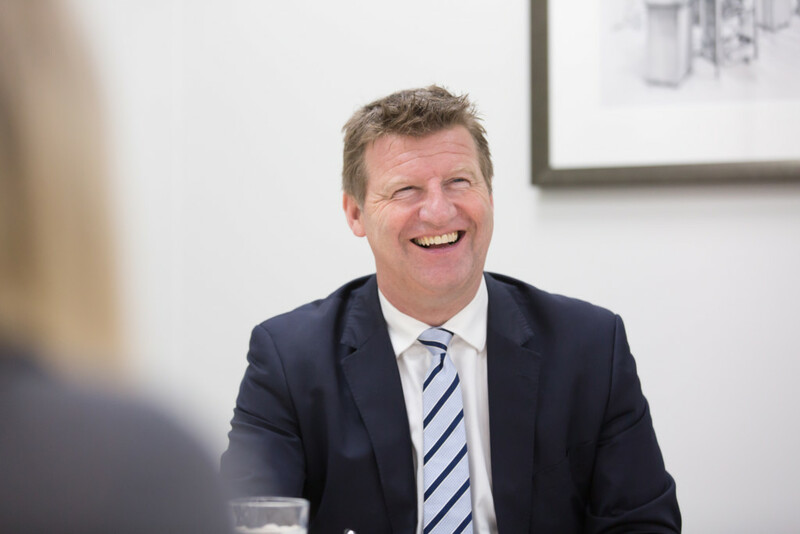 Hallmark’s is a successful and pioneering vision that looks to ensure that it will remain a key player in the thriving luxury care home market for decades to come.